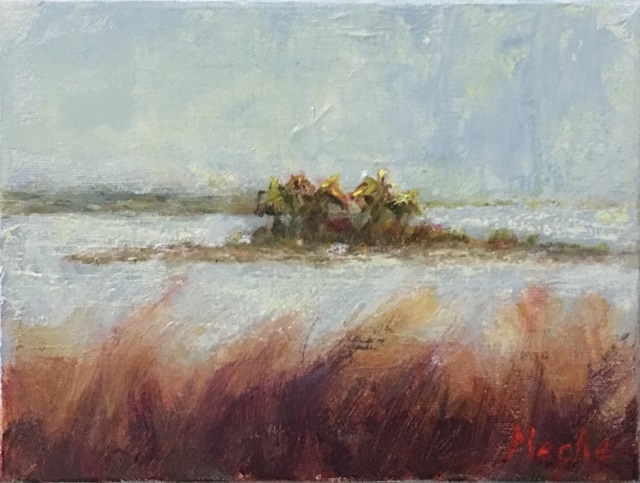 Marsh Oil Painting on Canvass, "Island In The Sun", 6x8, by Mercedes Franklin. Private Collection. This little island looked like paradise siting out there all alone w/marshes all around. It makes wonder just how it developed so different from everything else?